Summer Skippers – Ursuline Academy – Celebrating 125 Years! 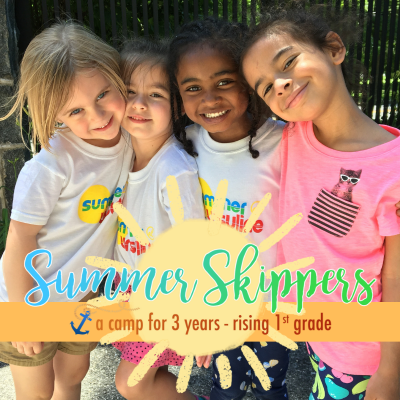 Your child will be the captain of their summer at Summer Skippers! Campers will dive into their favorite stories during Literacy for Littles. They will investigate animals and insects, both crawly and cute. Your child will experiment and explore as a brainy biologist or creative chemist. They will marvel at their own creations in Mini-Makers. The possibilities are endless. Click here to view the Summer Skippers brochure.